Can't wait to feel the sun on your skin? 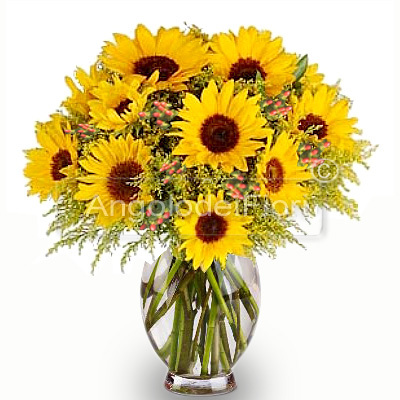 With this beautiful bouquet of sunflowers you will surely bask the heart of the person you love. It is perfect for almost any occasion like Birthday, Anniversay or Just Because! It is also perfect if you want to congratulate with someone for a reached goal! This sunny bouquet includes Sunflowers and special greenery to make the most of their Summer feeling.